Stoner metal usually gets a bad rap. The subject matter is not really weed and the producers of such fine jams don’t necessarily operate under the influence. But this mixtape isn’t about sludge metal, it’s about a combination of psych rock and metal and other elements I don’t know about. I don’t do drugs and it’s easily my favorite genre of music behind hip hop. Also, I should really get a proof reader or something. My fascination with psych rock came from records given to me by my father: Pink Floyd, Velvet Underground, this one Rolling Stones album and Don Cherry. Pops Allick has been collecting vinyl, and more so than other genres jazz vinyl, for the last 30 years. His exploration into avant-garde recording by Ornette Coleman, Don Cherry and others coupled with his love for the rock music he grew up with led him down the road of cult psych rock. I have a less refined pallet and enjoy more accessible jams. I think that explains my love of stoner metal. Psych rock, sludge metal, stoner metal, doom metal, etc, etc. Where does it all come from? Great question. I don’t really know. 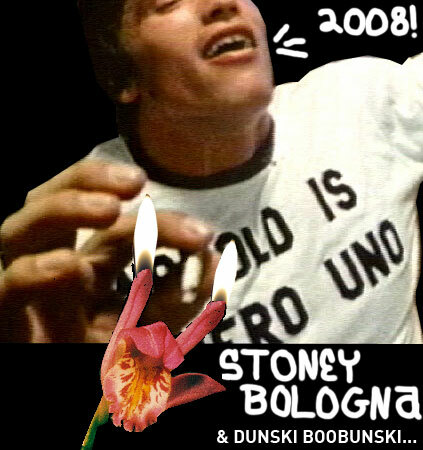 However, I have attempted to trace the possible origins of one of the aforementioned genres: stoner metal. Starting way back in the 1970s! Wow! Did music even exist then? Just joshing, it did, and it would appear that it was better than anything that has since been created. We’ll end in 2008 with contemporary jams. Mind you, I know very little about music. Consider this an uneducated opinion. You can just listen to the mixtape, or read the passages as you go. The songs are chronological. Epic jam. Paranoid is probably in my top 10 greatest albums of all time. I picked this song because we can hear some characteristics that will continue to pop up in stoner metal through the years. Droning distorted guitar, and low almost marching bass lines. The drums are technical but never break from this almost call to battle marching rhythm. At times though the song breaks into a rush. The distortion is cut and the tempo is increased. This is common. Because although the music is sluggish, these dudes shred hard. They gotta let you know. Wow, that harmonica is far out bro. A little echo? Almost as if fading away and floating over your head. While this chugalug drum plays. Then the guitar slides into ascension taking you to a higher plain while those Jim Morrison vocals ride the waves of rock. Not sure what else to say, but if these drums and guitar were a little heavier this would be a classic stoner metal jam. Like if you combined it with the Black Sabbath. Love it! This song destroys. Is that Jimi Hendrix on guitar? Nah dog, but I hear you on that one. Sooo good. I have no comments on this song. So, let’s jump forward some years and chat. This song is off Obscured by Clouds, in my opinion the best Pink Floyd album. Kyuss, heavy…real heavy. You just cannot wait for that snare and crash combo. The timing is perfect. Makes you nod your head in satisfaction. Distorted heavy guitar. Oh, what’s this? A more modern metal feeling about a minute in. Hit the ride and let me hear that repetitive guitar riff. Then drop some whawhawha on me. Feels good. ‘95, great year, am I right ladies?! Almost sounds like Soundgarden meets NIN and they have a little circle dance chant to the dark one himself. We can hear some Doom Metal in here. It’s still slow and sludgy though. Acid King is probably one of my favorite bands right now. Also, the only band that I found with a woman in it. Where my ladies at? Alright, you got me. The only reason I used this song was cause it has the lyric “weird beard.” Sounds like Cake, but good. 1999 was not a good year. Y2K scare and what not, so we’ll give Fu Manchu the benefit of the doubt. They were heavily influenced by Led Zeppelin, so maybe I chose the wrong song to show that. Weird beard, nah I’m sayin’? Sounds like a late nineties grunge band? Yep, I know, but it’s not. This is some grade A metal. When that guitar drops with the drums it’s like someone poured a million pounds of gack on your face. The psych rockier side of things: those vocals, and far out guitar sounds. But still distorted and heavy. This song is pretty much ok. I don’t know. Let’s move on. Cause I love the next song. Does this not sound like some old Beck? One Foot in the Grave? Stereopathetic Soulmanure? No, hrrm, maybe it’s just the banjo and Tibetan throatish vocals. This song is great. The vocals take over year head…I guess you could say they are heady. This song has nothing to do with the mixtape. I just like it. Moving on. Woooooooooooooyyyeeeeaaaaaaah. Hit me! YEAAAAA! BOOOM. When that drum drops so does your head. You cannot help but nod. Maybe even grit your teeth. It’s ok, let go. Where we at? Already 2007, time flies when you riding the waves of metal I suppose. That guitar is signaling the start of the battle. Mount your horse and sharpen your blades…not in that order. This is almost fantasy metal, but there are no lyrics talking about goblins and ripping guitar solos and it’s heavy on the sludge factor. Is that four on the floor and snare on two and four i hear? Probably not. Definitely hearing that psych rock influence again. Winding climbing guitar and that heavy bass is makin’ me feel good. This song scares me. I honestly am afraid the devil can see my soul when I hear this song. Speaks for itself. Great jam. These guys destroy. A little out there. Not sure if I should have ended with this one. Oh wait, I didn’t. The next mixtape will be exploring a niche song stylin’ from the hip hop community. This is an example. I am still not going to name the group, but it should be pretty obvious to tell who, and if you are not down with them you should be. Easily one of the most underrated hip hop groups ever. And, they are partially responsible for one of the best songs off Notorious BIG’s double CD album Life After Death. Check it out. I think if anything we can see that stoner metal has a mass appeal quality and one point during the late 90’s these types of jams dominated the air waves. Unfortunately, it gave way to more jock jammy bands. Boooo, unless you are working out, ya hear me? The darker side of life. I appreciate it, but not my cup of tea. dude. i never knew you liked stoner metal. i feel closer to you. some really good songs on here. electric wizard rules. and so does boris… well, some of their records anyways. this is great because i wasnt sure if i should through some heaviness on the tape im making for you…now i know.